A signature feature at every Dragon-i outlet is the open kitchen featuring highly-skilled chefs with surgical masks. This enables customers to appreciate the skills of the chefs, who hail from various regions of mainland China and bring with them unique culinary expertise and specialized skills. A strong commitment towards hygiene is also reflected in the fact that Dragon-i has been awarded one of the cleanest restaurants by Majlis Perbandaran Petaling Jaya for two consecutive years in 2007 and 2008. 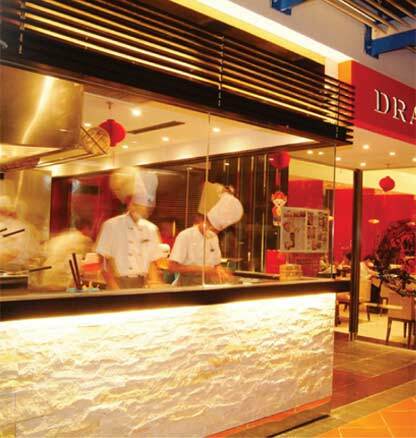 Dragon-i’s central kitchen at Damansara Kim is also HACCP-certified by Moody International. HACCP (Hazard Analysis and Critical Control Points) is a systematic preventive approach used in the food industry to identify potential food safety hazards, so that key actions, known as Critical Control Points (CCPs) can be taken to reduce or eliminate the risk of the hazards being realised. The system is used at all stages of food production and preparation processes.